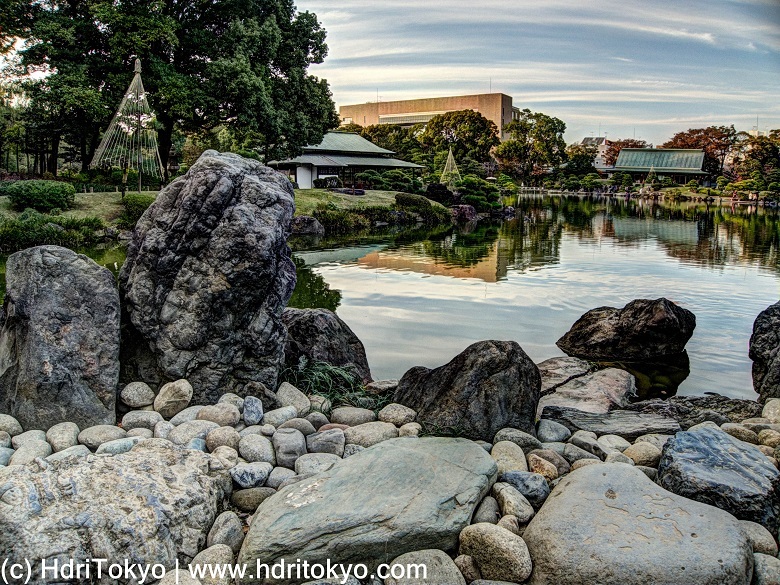 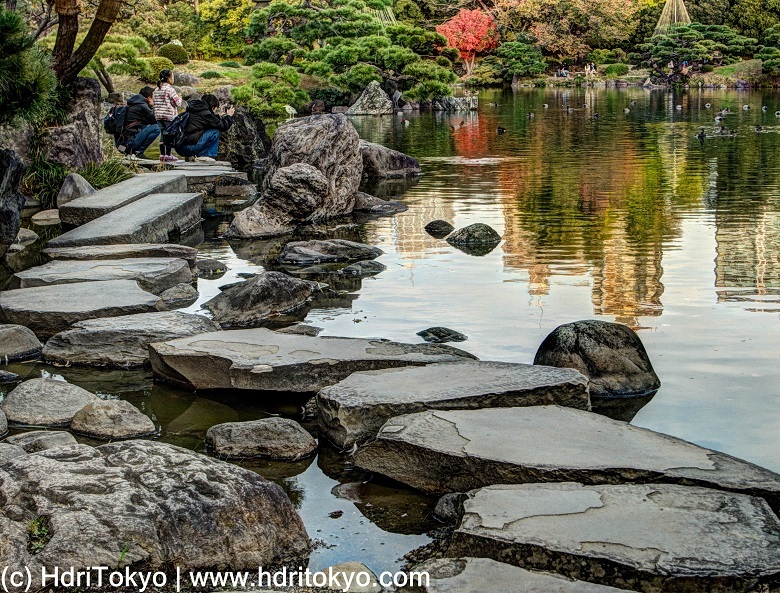 There are stepping stone pathways across shallow parts of the pond at Kiyosumi gardens which is a Japanese-style garden located in Koto ward. 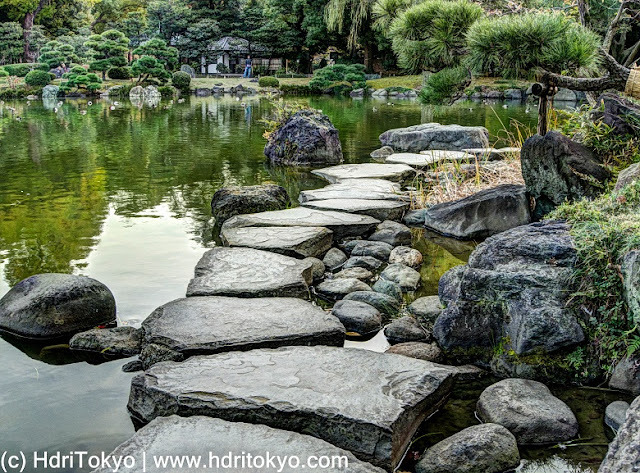 You can enjoy view of the pond from the pathways. 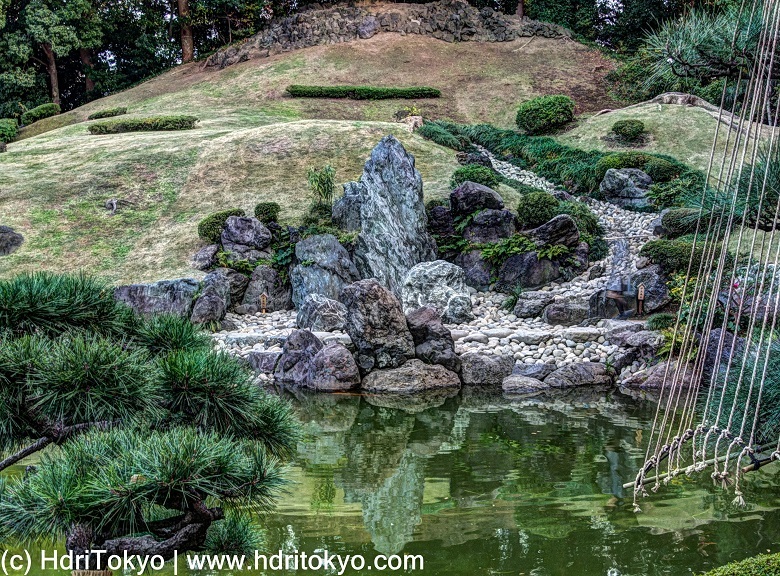 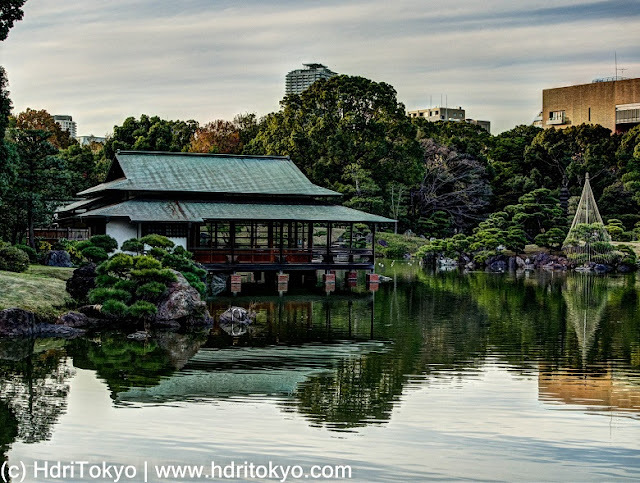 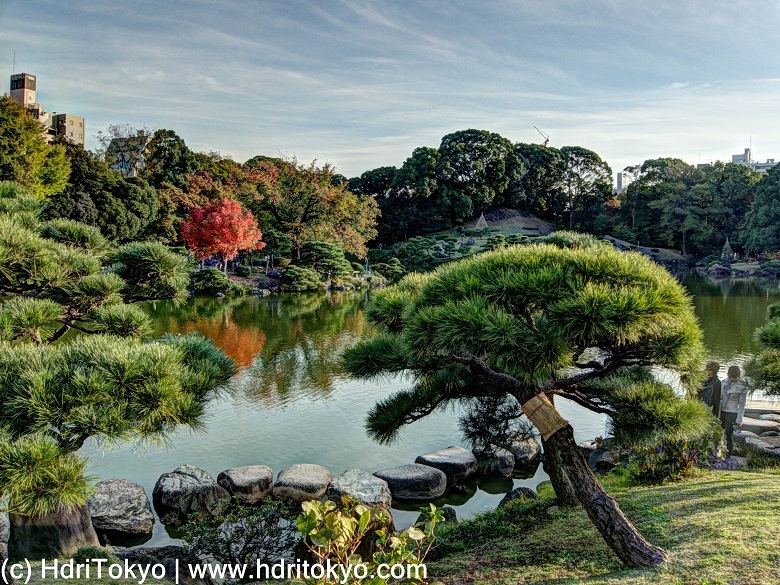 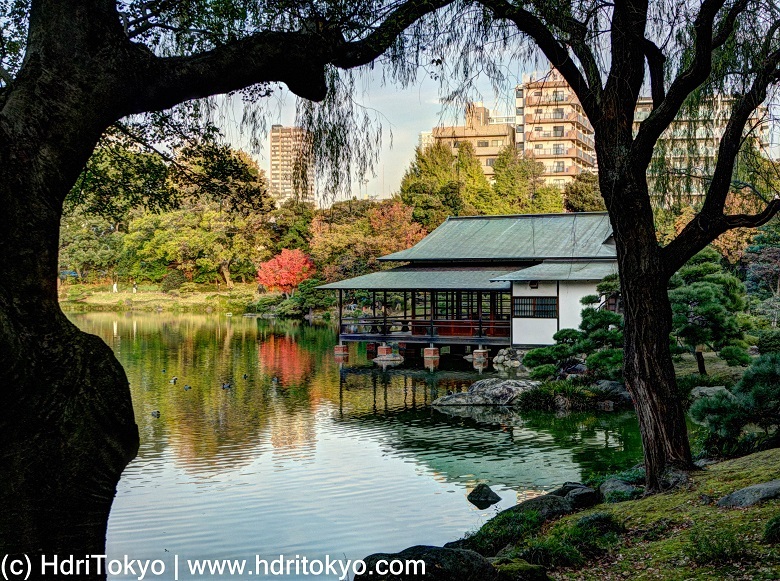 Kiyosumi Gardens is a Japanese-style garden located in Koto ward. 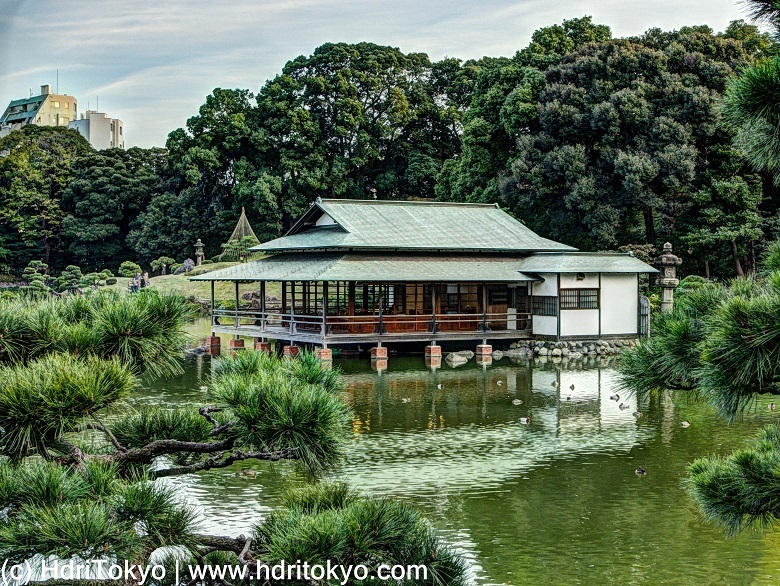 A beautiful pond located on the center of the garden occupy large portion of the garden. The garden is rich in nature, and many rare stones gathered from all over Japan are arranged in the garden.